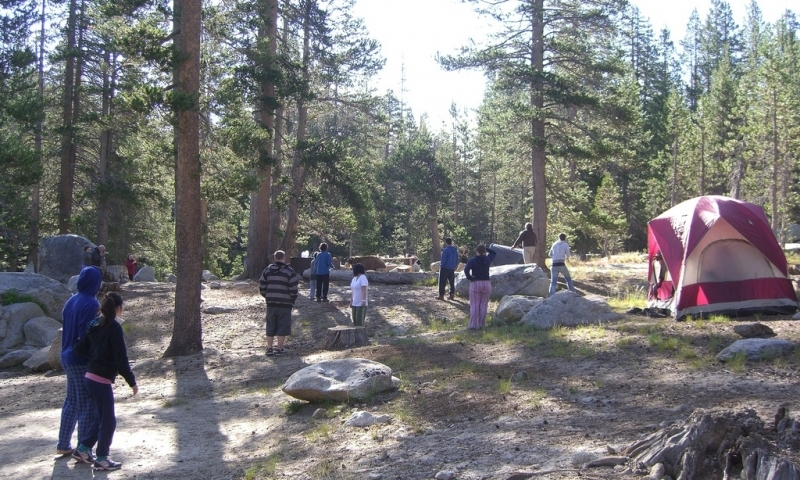 White Wolf Campground in Yosemite National Park offers a great camping experience, with plenty of amenities, gorgeous natural surroundings and a wide array of outdoor activities to enjoy. FIRST COME, FIRST SERVED. White Wolf Campground in Yosemite is open from July to early September, and provides accommodations for RVs, trailers and tents. High in the Sierra Nevada Mountains, you can enjoy hiking, rock climbing and a number of attractions nearby. Each site has its own picnic table and fire pit, including drinking water. Pets are allowed in your campsite. There is also a general store and a small restaurant not far away. You can get to White Wolf Campground Yosemite from the Arch Rock Entrance. Drive to Big Oak Flat Road and go left. After 9.5 miles you’ll come to Tioga Road. Turn right and then continue driving until you come to the turn for the campground. Campsites at the White Wolf Campground Yosemite National Park are on a first-come, first-served basis. Is there a dump station? Closest ones are at the Upper Pines Campground in Yosemite Valley and at the Tuolumne Meadows Campground. Head northeast or southeast from Yosemite White Wolf Campground and you’ll find a number of attractions and activities only 23 to 40 minutes away. The closest attraction northeast of the campground is Olmsted Point, an incredible viewing area where you can marvel at the north side of Half Dome and the Yosemite Valley. Surrounded by pines and granite cliffs, Tenaya Lake is one of Yosemite’s most neglected scenic wonders. You won’t find the crowds of Yosemite Valley here, and there’s plenty of hiking trails, both around the lake and into the backcountry. This Yosemite meadow has incredible views of the Cathedral Range as well as the Lembert Dome. You can access many hiking trails, including the John Muir Trail from here, and there’s great rock climbing nearby. Southeast of the campground, only 40 minutes away is the famous Yosemite Valley, with an array of facilities for visitors. Find many hiking trails where you can trek through the valley and also go to the higher elevations.